Most common places in the body where MBC may spread. Breast cancer is a tumor (TOO-mer) that starts in the breast. A tumor is an abnormal mass of tissue. When a tumor is malignant (muh-LIG-nuhnt), it means that it is cancerous. When breast cancer spreads from the breast to other parts of the body, it is called metastatic (met-tuh-STA-tik) breast cancer (MBC). 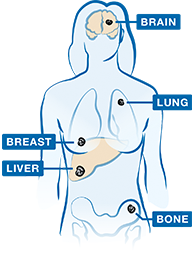 This type of cancer is also called advanced or stage 4 breast cancer. Are some people more at risk for breast cancer? There are certain factors that affect a person’s chance of getting breast cancer. It is important to know that having 1 or more risk factors does not mean that you will definitely get breast cancer. And some people may get this type of cancer even if they don’t have any risk factors. Your risk of breast cancer increases as you get older. About 2 out of 3 invasive (in-VEY-siv) breast cancers are found in women aged 55 or older. These are cancers that grow into (invade) normal tissues in or beyond the breast. Women are much more likely than men to get breast cancer. It’s 100 times more common in women than men, but it is possible in either gender. Breast cancer is slightly more common in Caucasian women than in African American women. But African American women are more likely to die of this type of cancer. In younger women (under 45 years of age), breast cancer is more common in African American women. Asian, Hispanic, and Native American women have a lower risk of breast cancer. A woman who has had cancer in one breast is more likely to get a new cancer in the other breast or in another part of the same breast. Women who have a close blood relative with breast cancer are also at greater risk. 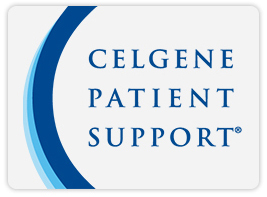 About 5% to 10% of cases are thought to be hereditary (huh-RED-i-ter-ee). This means that the cancer is caused by genetic defects, called mutations (myoo-TEY-shuhns), that are passed on from a parent. In addition to a person’s age, gender, race, and family history—all things that can’t be changed—there are risk factors for breast cancer that are considered lifestyle factors. This means that they can be controlled to some degree. Compared with nondrinkers, women who have 1 alcoholic drink a day have a slightly higher risk of breast cancer. Women who have 2 to 5 drinks a day have a greater risk. Women who are overweight or obese after menopause are at greater risk for breast cancer. Women who have not had children or who had their first child after age 30 are at a slightly higher risk for breast cancer. Certain forms of birth control put women at greater risk of breast cancer. These include birth control pills and an injectable form of the hormone progesterone that’s given once every 3 months. Women who take a combination of estrogen and progesterone after menopause to help ease symptoms or prevent osteoporosis (thinning of the bones) are at higher risk for breast cancer. ABRAXANE is a chemotherapy (KEE-moh-THAYR-uh-pee). Chemotherapy is a type of medicine that is used to keep cancer cells from growing or to kill cancer cells. 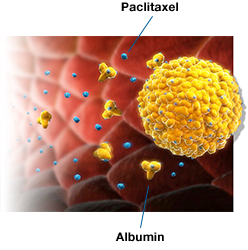 Treatment with ABRAXANE may help control or slow the spread of cancer cells. Your doctor may recommend treatment with ABRAXANE based on the stage of your cancer, your response to prior therapy, and your overall health. Only your doctor can help you decide if ABRAXANE is right for you. 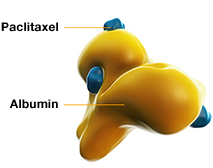 The medicine in ABRAXANE, paclitaxel, is bound to albumin. Illustrative purposes only. ABRAXANE may help stop cancer cells from dividing and making new cells. ABRAXANE works by blocking the action of proteins called microtubules (MY-kroh-TOO-byools).These proteins help cells divide. ABRAXANE is given by intravenous (IN-truh-VEE-nus), or IV, infusion (in-FYOO-zhun) . Your treatment with ABRAXANE will be given in your doctor’s office, at a hospital, or at an infusion center. 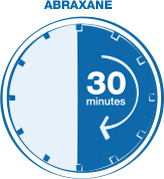 Each infusion of ABRAXANE takes 30 minutes. Tests, checkups, or waiting time may affect the length of treatment sessions. ABRAXANE is given once every 3 weeks. 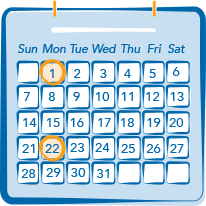 If you have questions about your treatment schedule, ask your doctor.